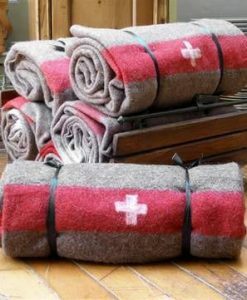 You might be inspired to add to your home list these Special Swiss gifts. And therefore to say appropriate thank you to someone who means a lot to you. Swiss Christmas tree hanging decoration and Swiss chocolate gifts could be your choice this year If you want presents with more interesting symbolic meaning. Many of us make trees and gifts the center of Christmas practice. This is because they are ultimately symbols of giving and receiving. Hans Christian Andersen, the Danish author, has an interesting story about one Christmas tree. His story The last dream of the old oak is about the tree which is 365 years old. One year is like a human day to the tree. We see the tree possesses some human characteristics. For that reason, this story has the deeper meaning. Indeed, it tells us about the cycle of life, the cycle of giving and receiving in 365 days in a year. And It gives us hope that after a storm of giving there will be peace of receiving. In the spirit of giving, choose this Swiss SChristmas Tree Hanging Decoration and give to someone’s Christmas tree beautiful decoration to remember. Chocolate is being known as a food of the Gods. Also, it is considered being an aphrodisiac in ancient time. Today chocolate candies have become a gift for many holidays or moments when you are looking to cheer someone up. The gift of chocolate means that you consider the recipient as someone sophisticated. But Swiss chocolategifts are so tasty that these are for someone even more special. Making Swiss chocolate is known as art. The Switzerland have invented a lot of chocolate-related things. Many Swiss chocolate companies have been around for centuries, making them the leading producers of the trade. About that, Swiss chocolate has conquered the world. It was the Swiss who came up with the idea to add cocoa and make the smooth nicer texture of chocolate. Over 80 % of the chocolate which is consumed in the country is milk chocolate. When Swiss milk chocolate is compared to milk chocolate from other countries, the Swiss chocolate is creamier due to its higher milk content. This tasty Swiss chocolate is surely a great simple gift. And it will cheer up everybody special who needs more sweet moments next year.